Heat oven to 375°F. Grease or spray 24 mini muffin cups. Unroll dough on work surface; press into 12x8-inch rectangle. Cut into 6 rows by 4 rows to make 24 squares. 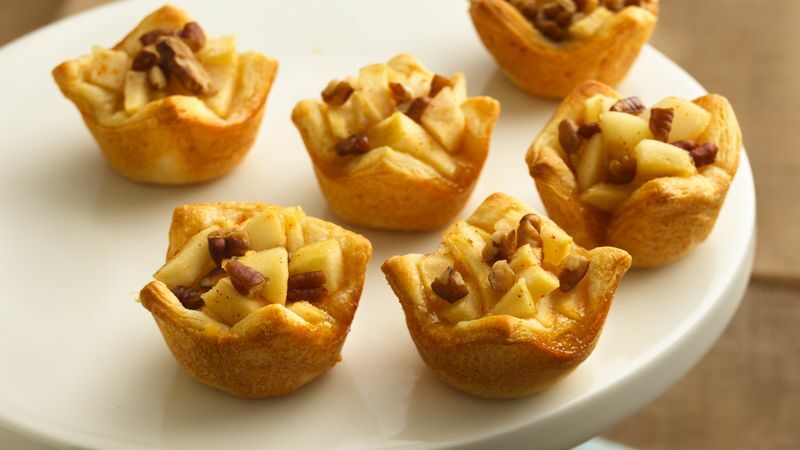 Gently press squares into mini muffin cups (dough will not completely cover inside of cup; do not press too much). In small bowl, mix pear, brown sugar, red pepper and honey. Place 1 cheese chunk in each cup. Top with 1 heaping teaspoon pear mixture. Sprinkle with pecans. Bake 15 to 20 minutes or until edges are deep golden brown. Cool 5 minutes; remove from muffin pans. Serve warm. Serve these bites warm, right out of the oven, while the Brie cheese is soft.